On Friday May 3, 2013 UrsyllaBs will be having a "FLASH SALE" from 2 pm - 4 pm CST all items will be 40% off with $3.00 Shipping. Use coupon codes "Flash" or "Flash1". There is a link at the top of this blog page to UrsyllaBs. Mother's Day is May 12 - Shop early and have the gift arrive in time to surprise her! 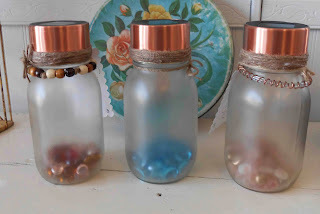 Post the "Flash Sale" to your social media and comment below how you posted it and where - and I will throw in beautiful special gift wrapping for your purchase. 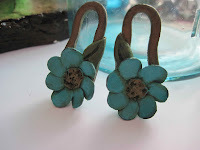 Need a New Pair of "Favorite Earrings"? 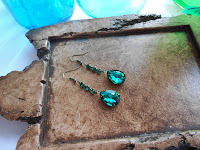 Who doesn't need a new pair of earrings at least once a month? Thinking back to when I first had my ears pierced and how many pairs of earrings I have owned since then.... Styles certainly have changed. So many trends have come and gone, but rhinestones of all sorts seems to still be in fashion. 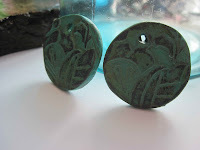 Earrings can be dated back thousands of years in history and have represented status in society to a bit of rebellion. I thought it was interesting to learn that a Pirate's gold earring was used as payment for their burial. 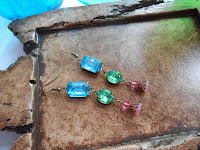 Some of my favorite earrings are the evening-ware from the 1940s and 50s with the rhinestones and glitz. 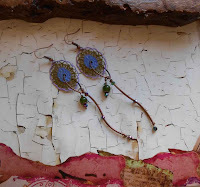 I also love the more bohemian style earrings with mixed media and a warm earthiness. Whatever style you prefer, earrings are always fun to wear and can often add just that little touch of pizzazz to your outfit. 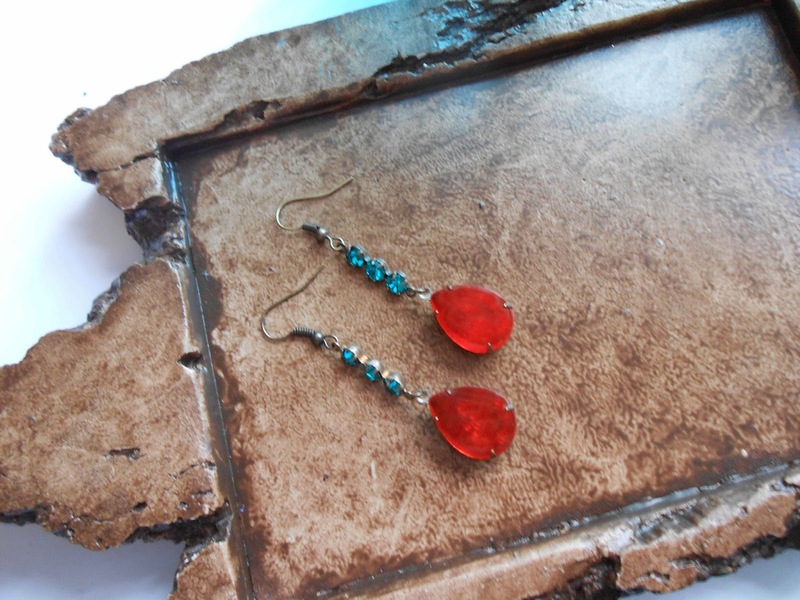 These earrings are made with bright summer colored Mother of Pearl Shells and dyed quartz. The beautiful sky blue shells have hints of a floral pattern to them, the white shells have the subtle natural shell pattern to them, and the quartz gives it just the right pop of color. I love the repetition of flat round beads and the bright colors. These earrings remind me of flowers. Vintaj patina painted vintage filigree with copper drops and a dyed green jade bead are layered together to create these long delicate looking flower earrings. The filigree looks like a flower blossom, the copper drops the stems, and the jade bead a single leaf. 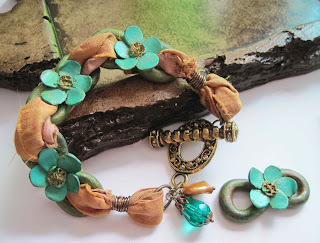 I found this gorgeous dark teal leather and decided to create a bracelet with it today. It's seems teal/turquoise is my favorite color today as I designed two bracelets with that color scale. Both are bright and have a bohemian summer feel to them. They measure 7.5" in length. Both will be available for purchase at ursyllabs.etsy.com. A link has been provided at the top of this blog. 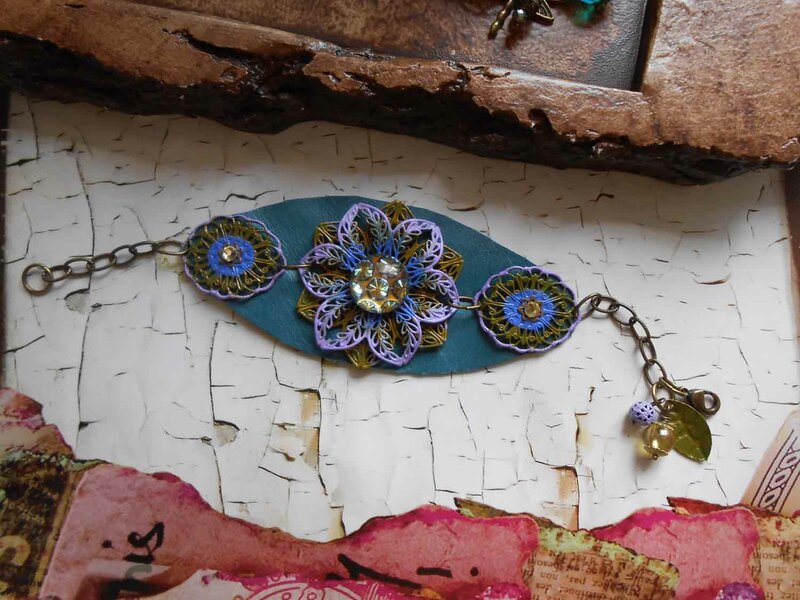 This bracelet incorporates the beautiful dark teal leather, a vintage double layer riveted filigree floral piece, and two vintage links. All three have been riveted to the leather piece. 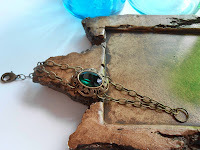 The filigree has been painted with Vintaj patinas. The center rhinestone is a star burst vintage cabochon from the Alfred Weber collection. I have added a yellow Cubic Zirconia, filigree bead, and leaf charms. The chain is an antiqued brass etched. 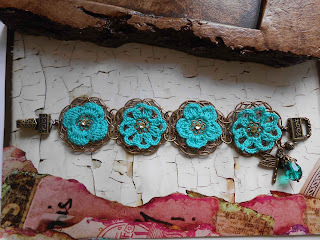 This bracelet has large filigree focals with crocheted floral pieces riveted to the filigree focals. I then added rhinestones to them. I left the antiqued brass in its original state without patina. I added a dragonfly charm, a teal glass drop and a filigree bead. The clasp has a magnetic closure. 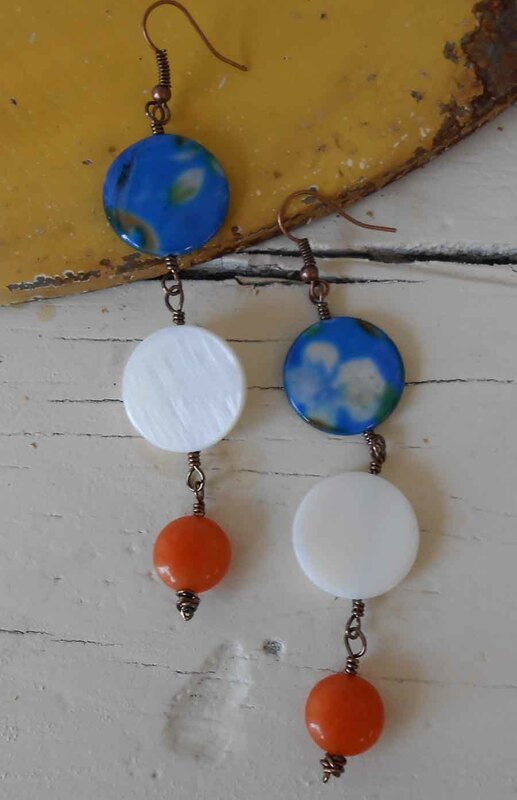 I cannot help but create sun inspired jewelry. I am so excited the sun is finally out there are no words to express it other than joy. This has to be my favorite piece so far this week. I am working on a pair of earrings to go with the bracelet. 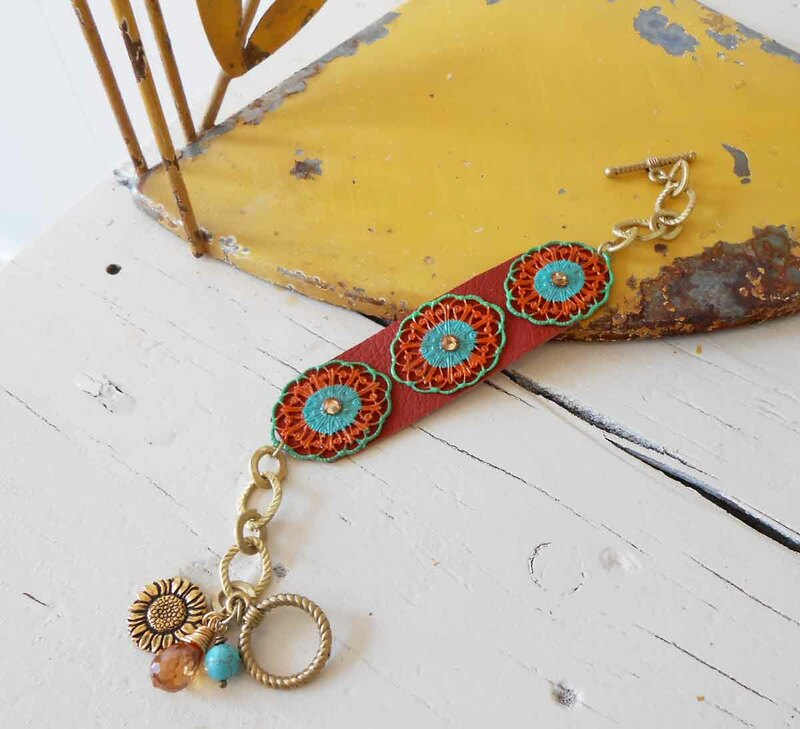 An orange-burnt-sienna soft leather is the base of this bracelet. 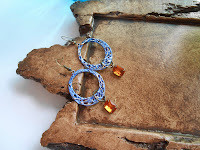 I then riveted Vintaj patina painted vintage filigree ovals to it, and added Swarovski flat back crystals to the centers. The chain added is a brushed golden etched. 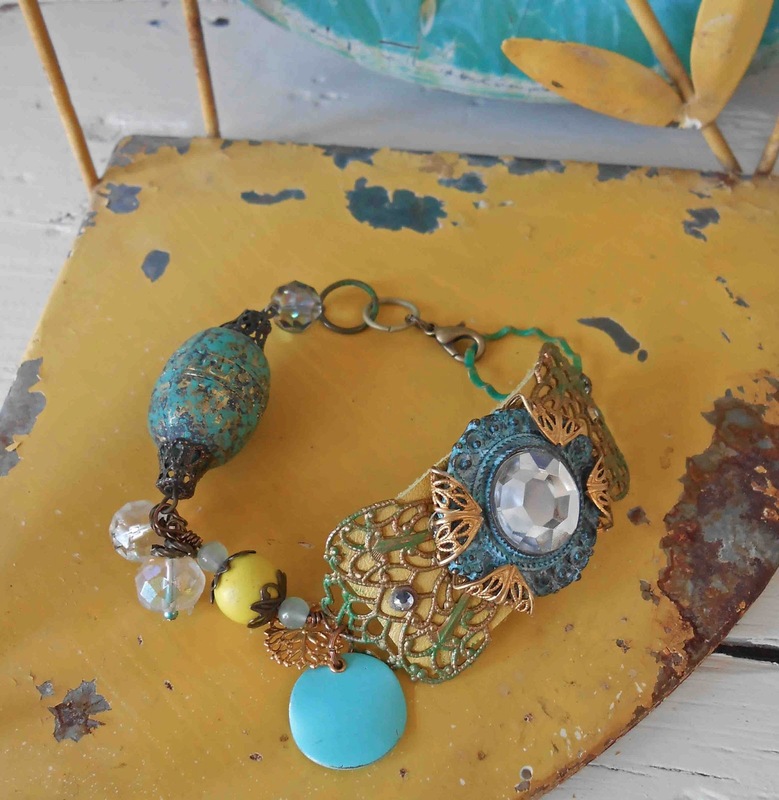 Topaz cubic zirconia, a golden sunflower, and a turquoise colored bead accent this piece. I started making tabletop solar lights a few years ago on a whim and ever since then people have asked for them. So during the summer months (only) I make tabletop solar lights in addition to all of my other projects. This year I created a new-and-improved design where the lid/lights can be removed. I thought I would post a few of the designs that I make. I really like them as they are easy - just put them out during the day to collect light, either on your patio table, deck railing, deck steps, porch window, etc - and they stay lit at night. The solar light usually lasts as long as a solar garden light, somewhere between 5-8 hours, sometimes a little longer. 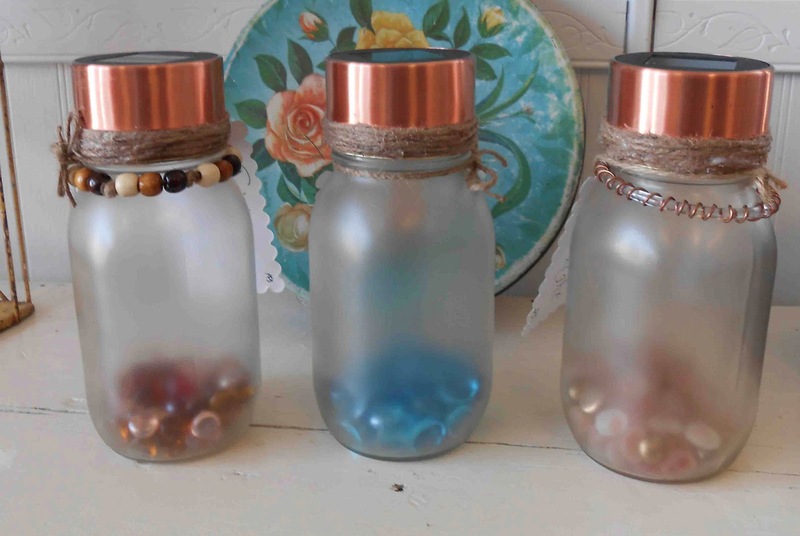 The jars measure approximately 8.5" in height and 4" in diameter. They create an inviting warm environment, especially if you want to be outside at night. The solar light with shoulder adornments are $25. I am taking orders for them now. 2. State if you have a color preference, etc. - I will do my best to accommodate you. 4. I will issue a Paypal invoice. 5. When payment is received, light(s) will be shipped within 2-5 business days. I will list these at ursyllabs.etsy.com if you would prefer to purchase them there. Of Note: I can make the solar lights with or without the glass chips. A variety of different colors of glass chips are available. I also make some with sand and shells. Golden Rays of Sunshine Inspired the creation of these two pieces. It was so encouraging to feel the warmth of the sun shining through my studio window today. I could not help but create something that reflected such cheerfulness. This piece is designed to just slip over your head, there is no clasp. It measures 38" in length. In designing this necklace I wanted to select beads that reminded me of summer and fun. 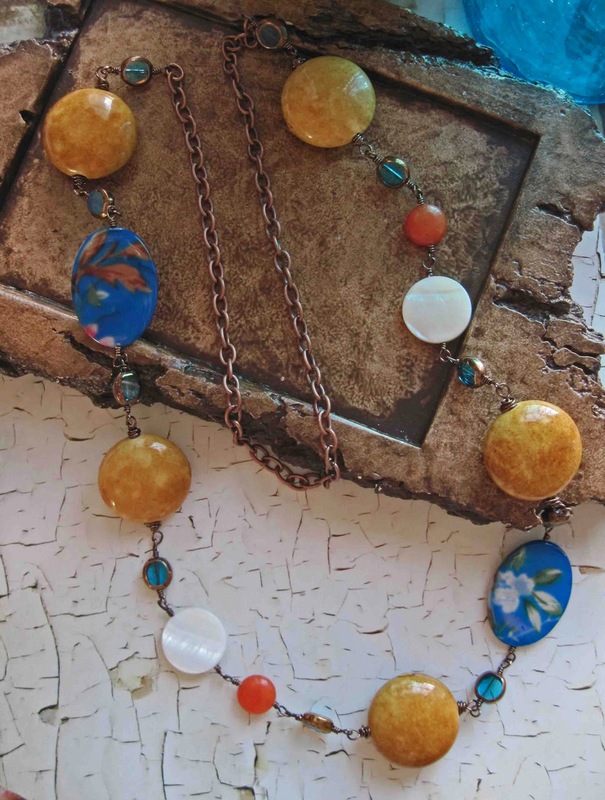 I started with large sand colored porcelain beads, wire wrapped them to Mother of Pearl Shells in white and painted, coral orange quartz, and a blue stained-glass-window type bead. The necklace is bright and cheerful. I loved the mixed material beads of this piece. 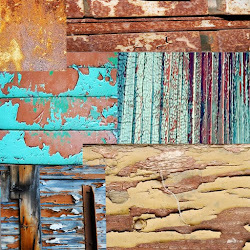 This piece is also a mixed material piece. The focal is a vintage filigree wrapped bead link riveted to a vintage filigree piece, which is also riveted to a bright yellow piece of leather. 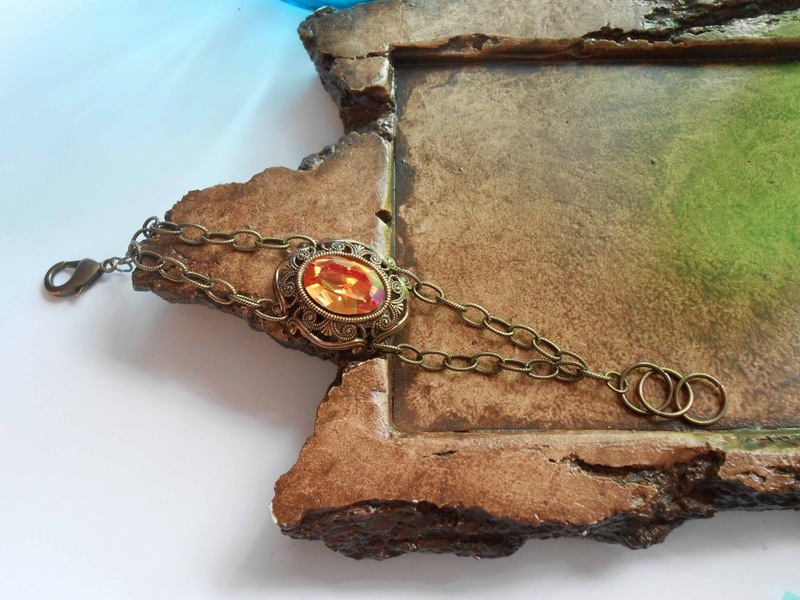 I then added glass, mixed metals, and added Vintaj patina to it. My favorite part of this bracelet is the focal. I love the rhinestone and the coloring of the metals against the leather. I have made a few changes to the blog, nothing too serious. I changed the layout a bit and the color scheme. I have also added a "follow by e-mail" section. I expect periodically I will be making small changes to make your visit a little more pleasant. Please let me know what changes you like, and if there are any you do not like. Enjoy your day! Vintage Rhinestones - Have you ever seen anything more beautiful? 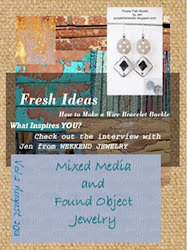 I am posting two new necklaces. They are simple and elegant, trendy and funky. They are listed at Ursyllas. 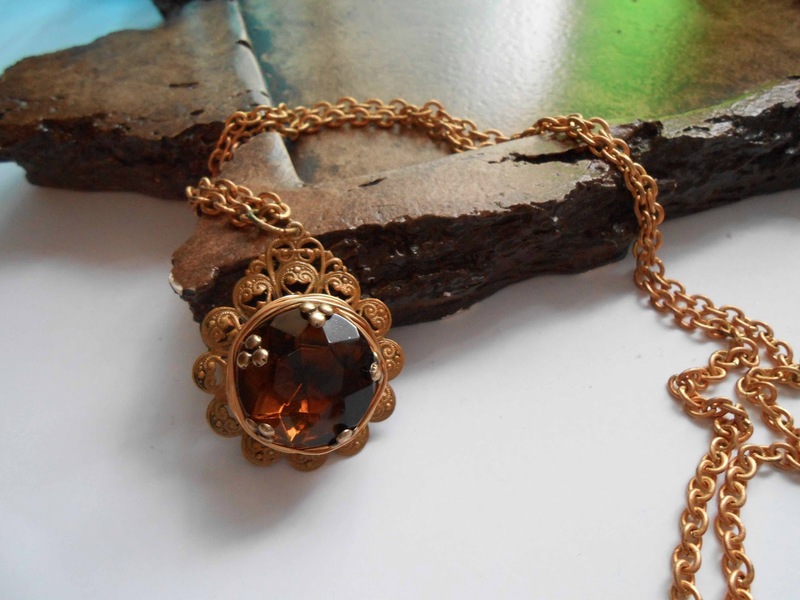 The focal in this piece is a vintage uncirculated Smokey Topaz glass doublet. I have riveted a setting to a filigree piece and then used vintage uncirculated Miriam Haskell wire to wrap the piece, giving the beautiful stone a nested look. 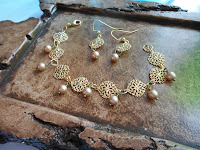 The brass filigree and chain have a Vintaj patina gold tone to them. This stone is a cabochon from the Alfred Weber stones I was fortunate enough to acquire. It boasts a rainbow of brilliant color. 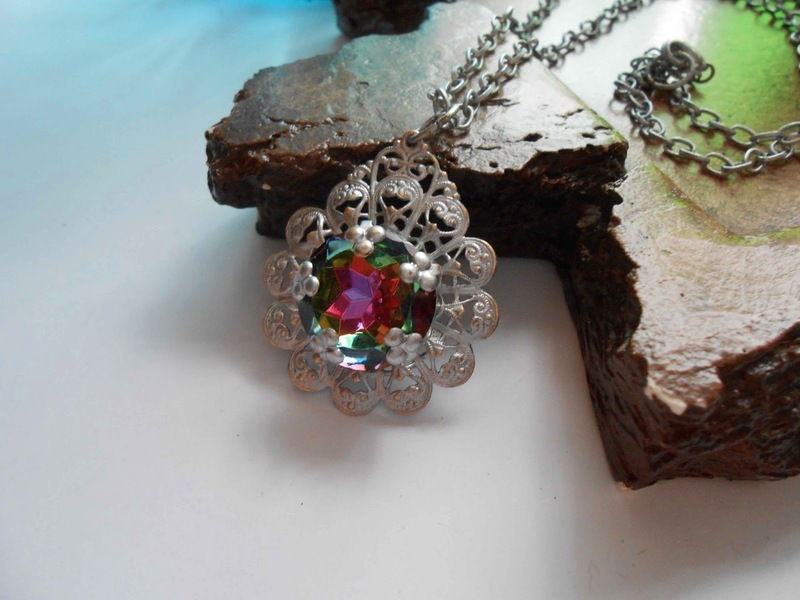 It measures 18mm and is set in the same setting as above, with a brass setting riveted to a filigree piece. 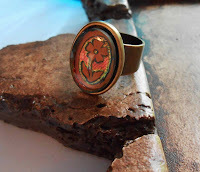 This design is also brass, but has a matted silver Vintaj patina added to it. I have sanded some of it away, giving it a warm golden brass - warn feel to it. 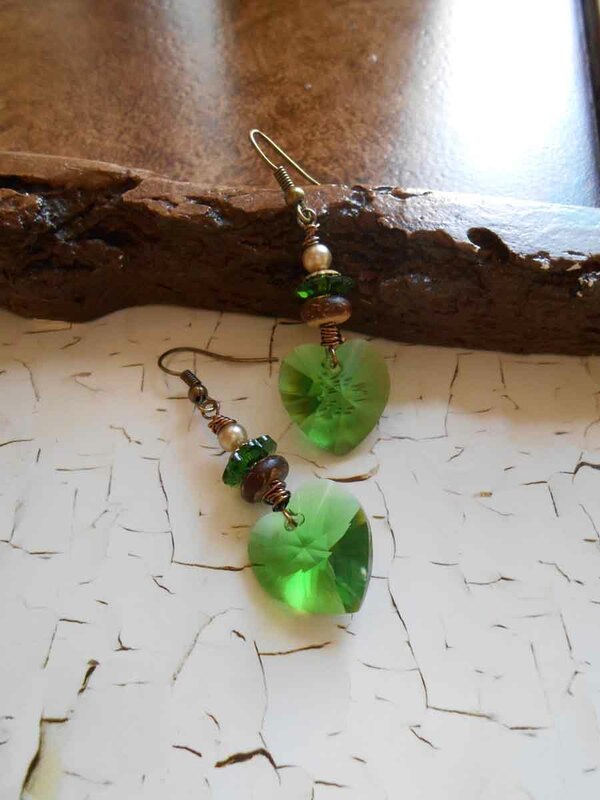 This piece is not wire wrapped, but sits beautifully in the setting. These little gems are fresh and sparkly. 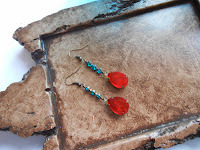 I have listed a few new pair of earrings - "hot off the press" - just in time for summer. For those of you who live to the north - Yes, summer is on its way and then we can all complain that we wish it were fall because summer is just too darn hot. Either way, these earrings would make a great addition to your summer wardrobe - and at a great price too. Check them out at ursyllabs.etsy.com. I have two specials running this week. 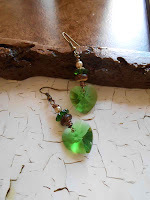 The first is "free shipping" and the second one is with every $50 purchase I am giving away a 25% off coupon, but if you mention you saw these earrings, or any jewelry you wish to purchase, on my blog, I will send you a 25% off coupon with no minimum purchase on your next order! Sounds like a great deal! Here it is Mid-April and we are continuing to have measurable snow. Granted, it does not accumulate to "snowbank" measures, but it does cover the grass and hinder gardening activities. So I have been busy creating in hopes it will pacify my longing for warmer weather and spring gardening. I have been working on rings. 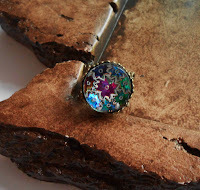 Recently, I was fortunate enough to purchase a large batch of vintage cabochons. They were made in West Germany(?) 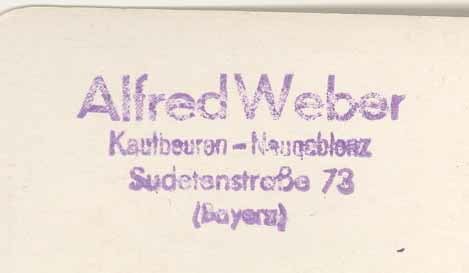 by Alfred Weber. I have tried to research these beautiful cabochons, but have had no success. Anyone having information on them, please leave a post. The colors in this ring are stunning. It is predominantly this stunning blue color - but also changes color with the reflection of light, bringing out its rich reds, blues, yellows - colors of the rainbow. 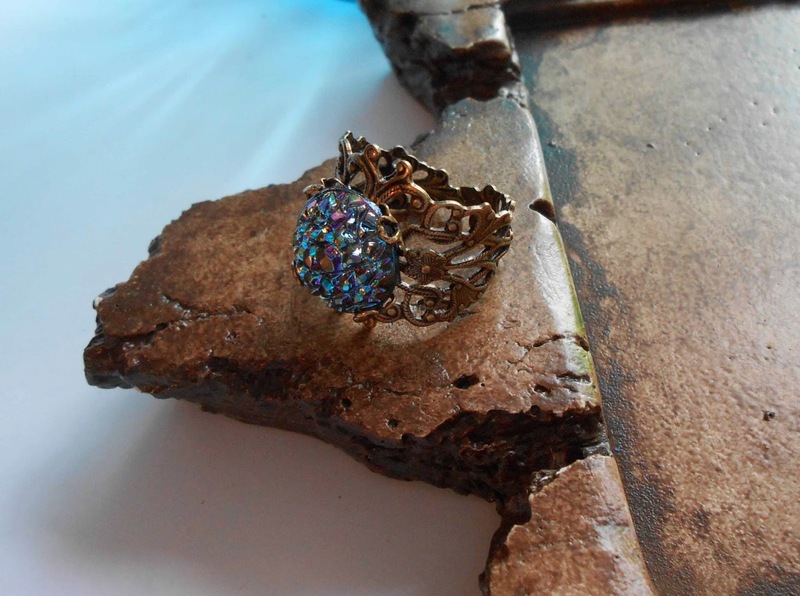 The ring is set in an adjustable antiqued brass setting with ornate edging. This cabochon has beautiful multicolored starbursts. It also changes color with the reflection of light. It is set in an adjustable antiqued brass setting with an ornate edging. This cabochon boasts a beautiful "summer" flower. The glass reflects the colors of the rainbow in warm pinks, oranges, yellows, and hints of blue. The antiqued brass setting boldly embraces this lovely vintage cabochon. * I am also going to include these two new rings, although they are not from the Alfred Weber collection, they are equally beautiful and freshly created. This ring has a bold crown of petals with slender petals pointing to the Emerald rhinestone in the center. 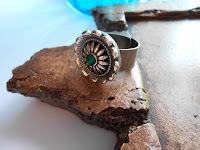 The contrasting silver and black enhance the Emerald center. The band is wide and adjustable. 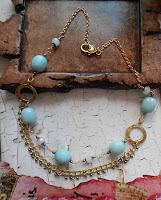 I love the soft blue color in the large nuggets of Amazonite. They remind me of a cloudless bright summer sky. They are wire wrapped to milky white and slate blue glass beads. There are also two tones of gold in this necklace which helps add interest to the design of this piece. 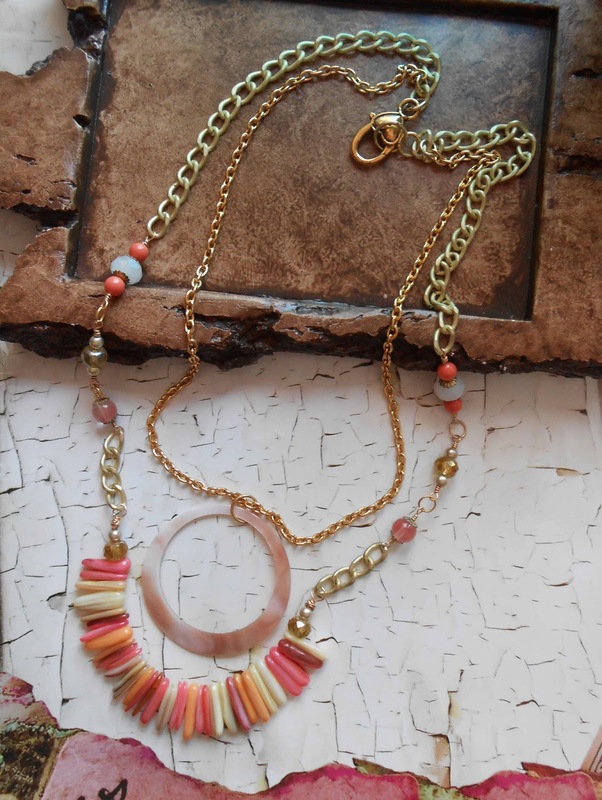 This necklace also has two tones of gold to it, a brushed matted gold and a bright warm gold tone. The center piece is a soft pink shell circle and below that is a row of bright yellow and orange shell pieces that frame the circular shell. I have added golden glass beads, creamy glass pearls, coral Swarovski crystal pearls and milky white glass beads. 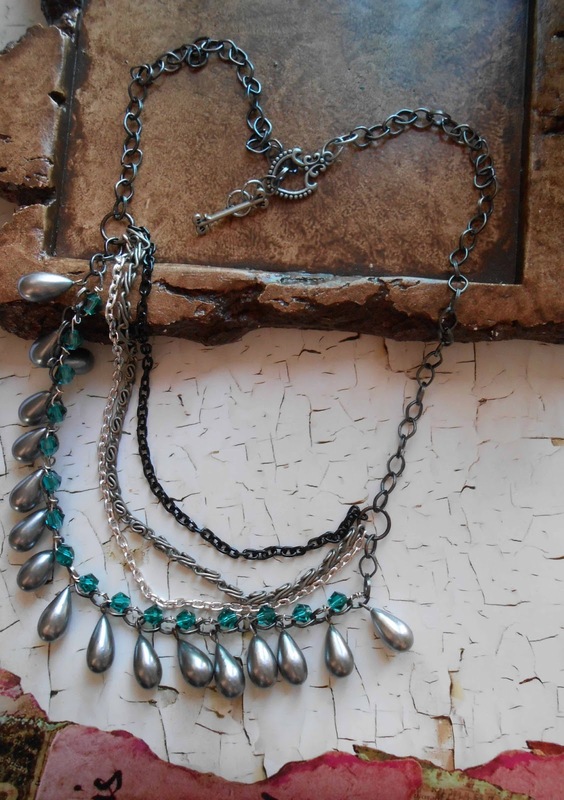 This necklace shows off beautiful repurposed vintage glass pearl drops from Japan. 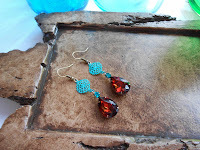 The teal glass bicones are wire wrapped to the chain bringing out the silver gray of the pearl drops. I have added four different tones of silver to black chain in this piece. These pieces can be purchased at UrsyllaBs.etsy.com - just click on the tab above. New Necklaces For Your Summer Wardrobe! This first necklace was designed with detail in mind. The connecting chain has richly detailed stamped designs. 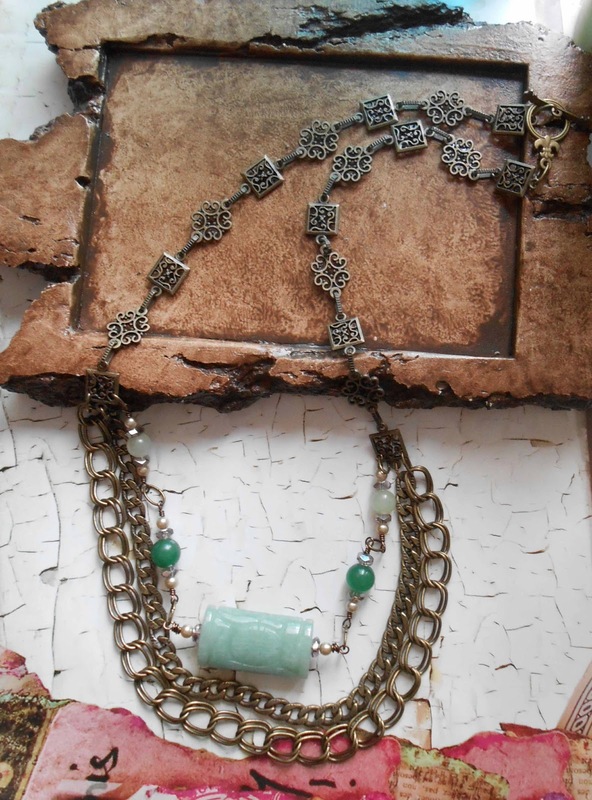 Flowing from the chain are layers of different style chains and a wire wrapped mix of carved Jade, dyed Jade and Aventurine. This necklace is very classy and elegant. 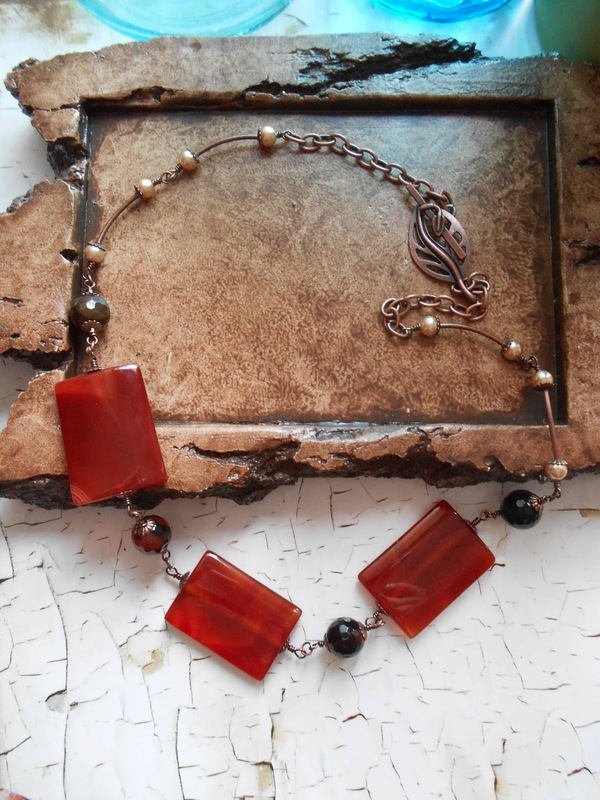 It is designed with a rich red Agate that looks almost like Carnelian. Each rectangular piece is wire wrapped to a black and red variegated faceted Agate. The chain has copper tube beads and creamy golden glass pearls. 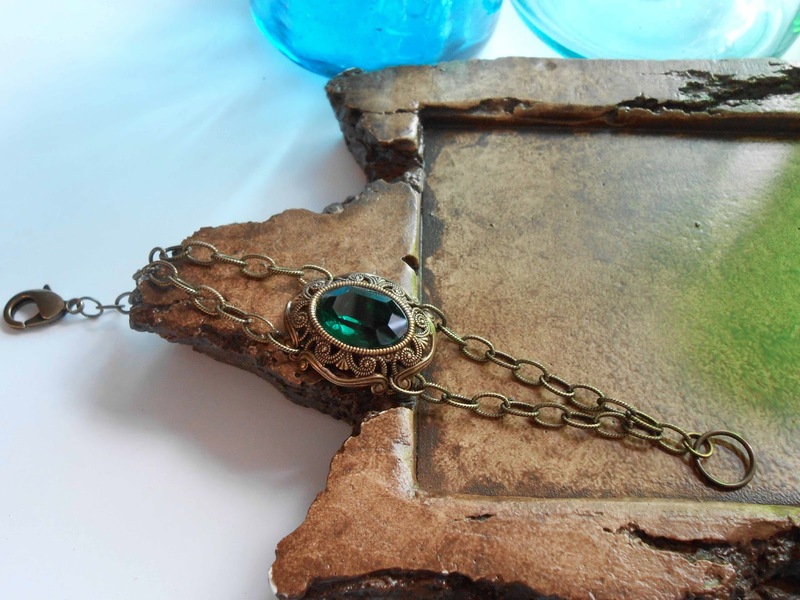 The antiqued copper leaf clasp gives it just the right finish. 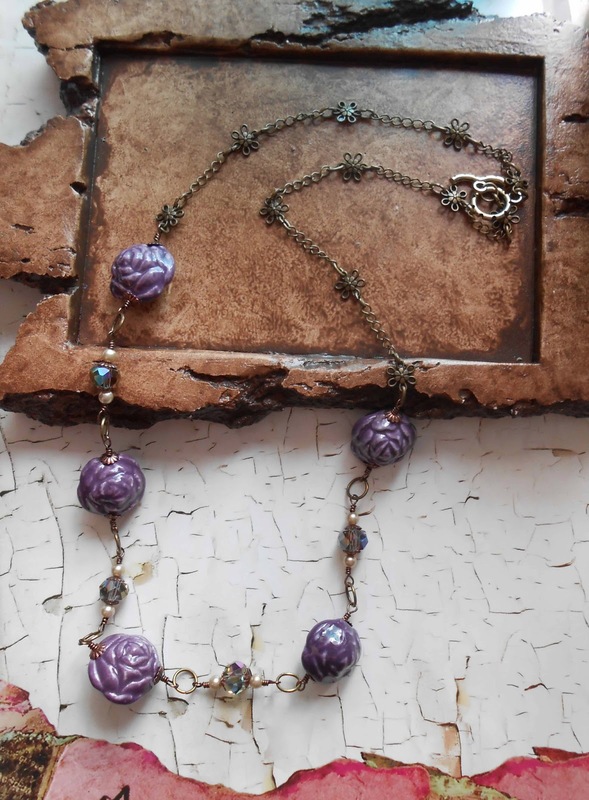 The lavender ceramic rose beads of this piece are very "shabby chic." They have a rich purple coloring to them and lovely detail. They are wire wrapped to AB glass that have a purple hue to them. 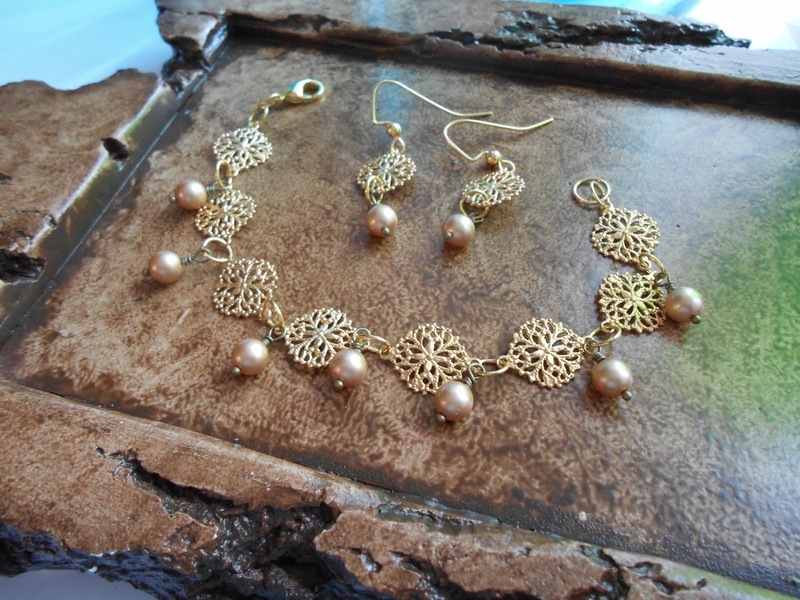 The antiqued brass chain has a beautiful floral pattern to it - making this necklace a "must have" for your summer wardrobe. This necklace has multi layers of silver and glitz. 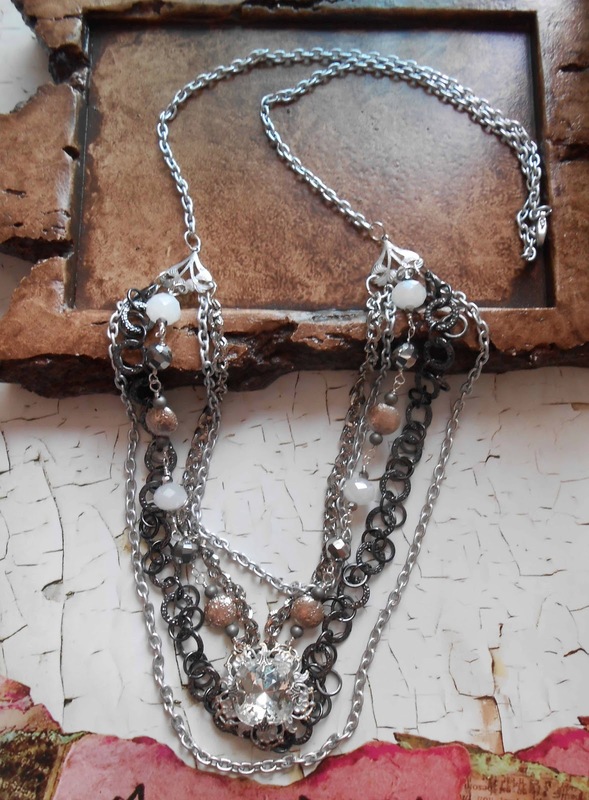 It is detailed with 4 different styles of silver tone chain and a strand of white, silver and gray glass beads. 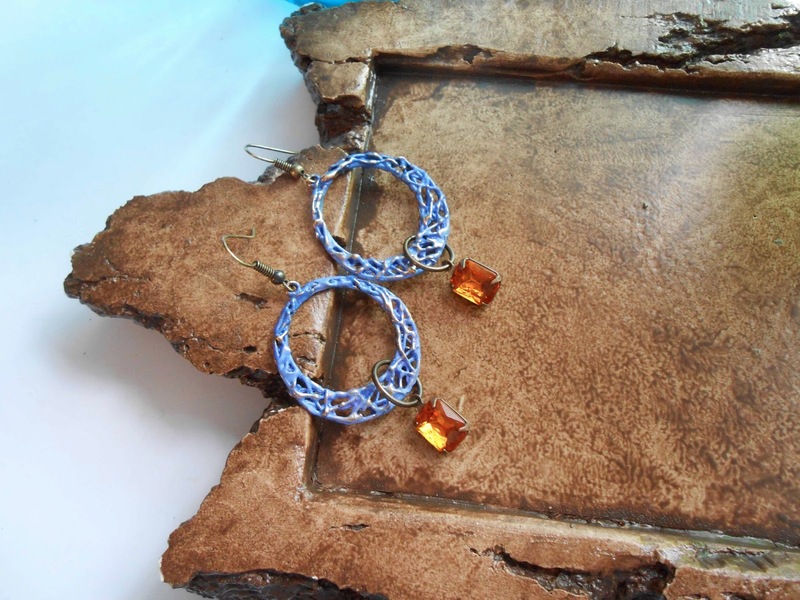 The focal is an antiqued square rhinestone wrapped in an antiqued silver setting, set on top of a filigree focal. 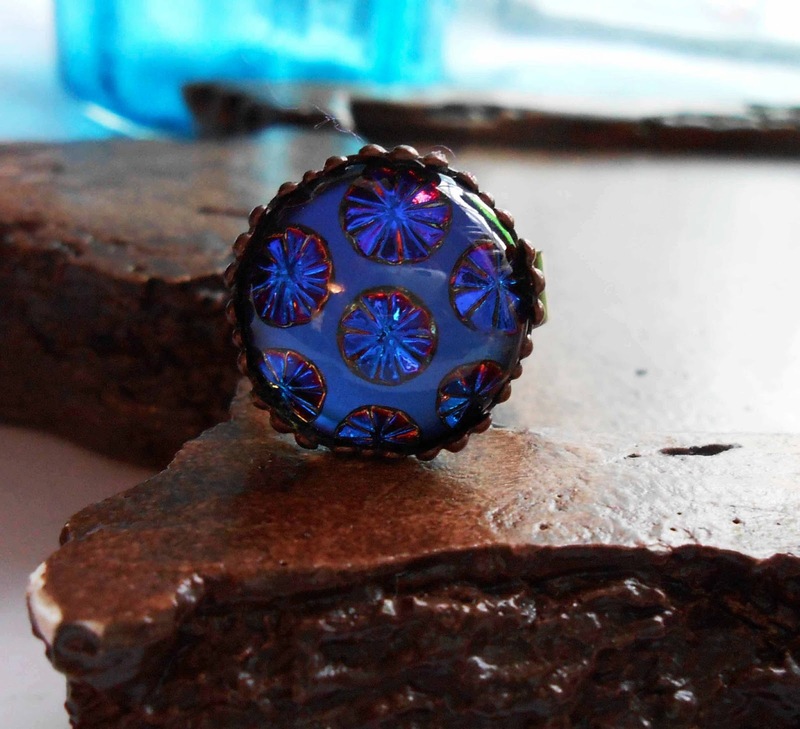 The rhinestone is bright and showy - A great addition to your "night out on the town" collection. All Necklaces are available at UrsyllaB's on Etsy. New Clay Beads - Ready for the Perfect Summer Design! 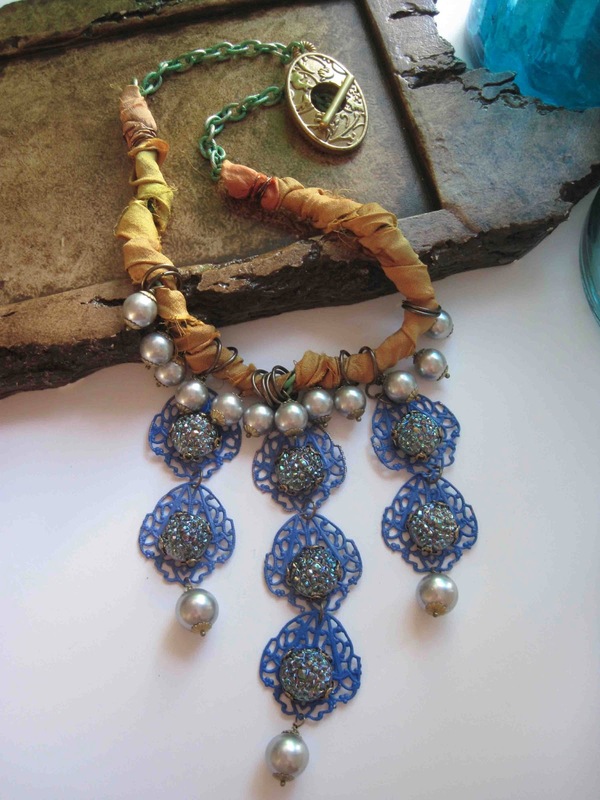 Beautiful blue metallic tone Yixing clay beads, painted with rich turquoise color and a golden tone glaze. These rustic design beads are ready for you to make your "favorite summer piece." These beads can be used as a pair of earrings or a simple pendant. There is also a bracelet focal. I love the golden shimmer over the green and turquoise tones in these pieces. 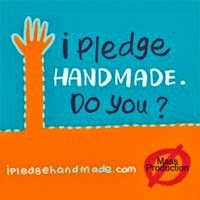 I will be listing them at purplefishclaybeads.etsy.com. 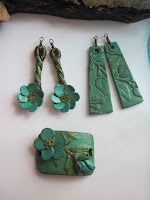 I have also designed a set of links made from clay. I strung the links onto a silk piece and designed a bracelet, adding a beautiful clasp, a glass drop, and a fresh water pearl coin. 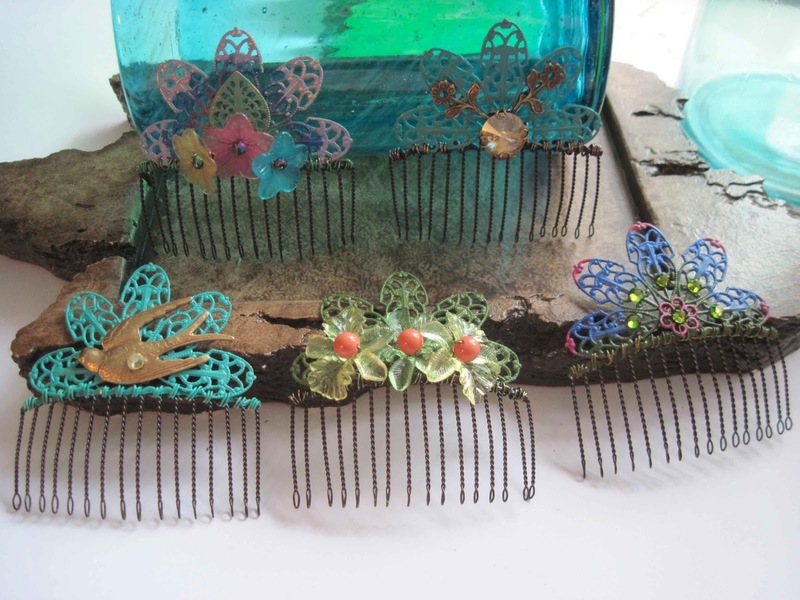 New hair combs for summer! 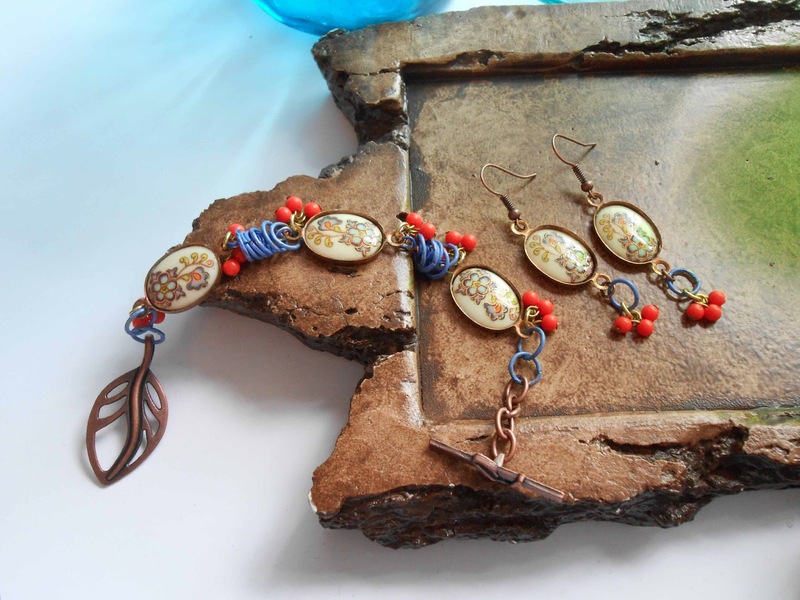 - Fresh and colorful, these pieces are made from vintage uncirculated hair combs that were made in Japan; the filigree is also vintage. The filigree has been coated with Vintaj permanent inks patina and embellished with Lucite flowers, Swarovski crystal pearls, Swarovski rivolis, brass and brass wire. I will be posting them at ursyllabs.etsy.com. The hair combs are light-weight and stay in place in your hair. The comb is 2-1/4" wide and approximately 2-1/4"(including filigree) tall. ** Unfortunately, I was forced to remove the comparison picture. I am not sure why as I followed protocol....but so be it. I am sorry for any inconvenience this has caused. Vintaj has a Plum Orchard giveaway! 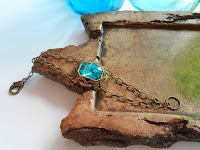 I love Vintaj findings and Patinas, especially the filigree. I found a few new items from Vintaj that have given me some designing inspiration. I hope you will be inspired too. 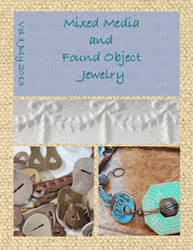 April Challenge for "Art Bead Scene Blog"
I absolutely love the challenges from Art Bead Scene Blog. The inspirations they choose are so beautiful. 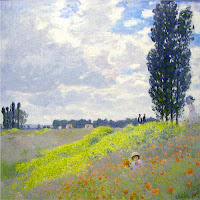 Below is April's inspiration they posted by Claude Monet. Doesn't it make you long for the warm days early summer? I can hardly wait to create a piece inspired by this picture.